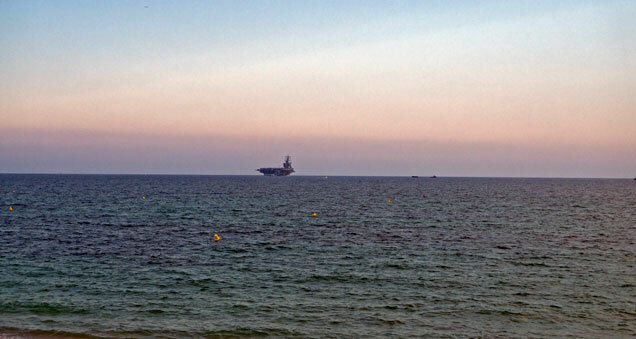 The USS Dwight D. Eisenhower aircraft carrier arrived in the bay of Palma de Mallorca last Wednesday for a three-day visit with some 5,600 sailors on board, including 2,400 Air Wing personnel. Twenty or thirty years ago, US Navy ships were regularly docking in Palma, but not since then. Now we may have one US Navy visit per year, if that. 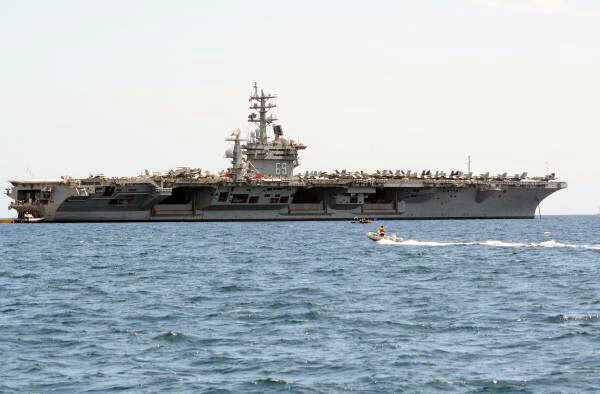 USS Dwight D. Eisenhower had last been to Palma in 1995. 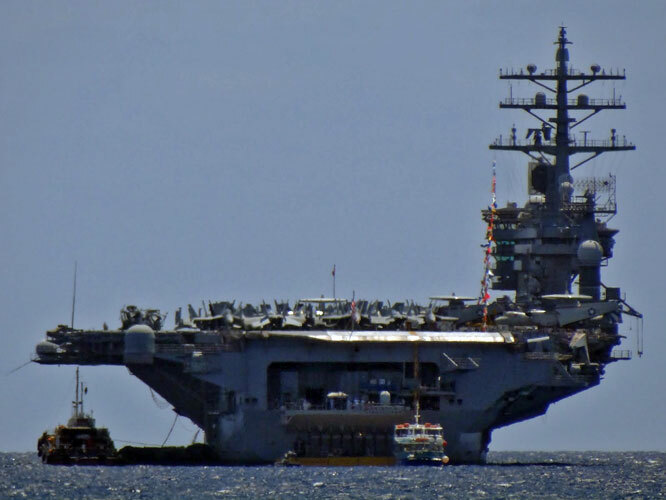 USS Dwight D. Eisenhower, also known as Ike, is the second ship in the Nimitz class and the first ship in the US Navy to be named after the 34th President of the United States. USS Dwight D. Eisenhower was the US Navy’s third nuclear-powered aircraft carrier. She was christened in 1975 and made her first deployment in 1978. 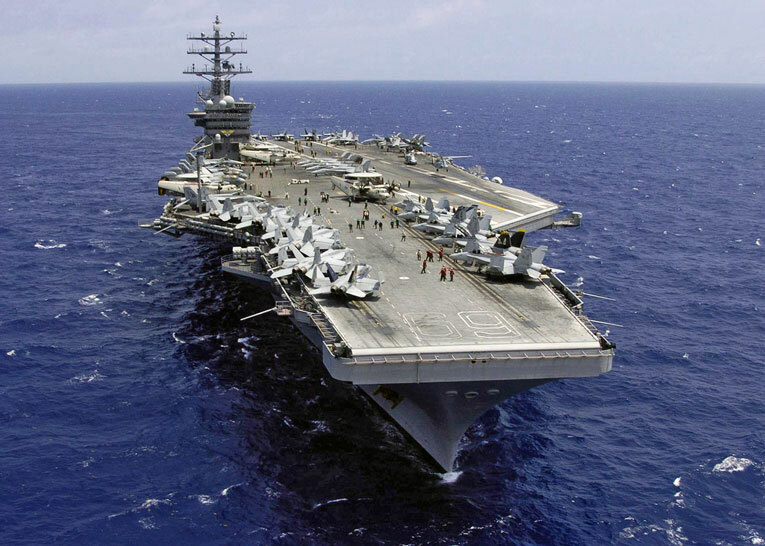 The USS Dwight D. Eisenhower has an overall length of 340 m, a Flight Deck Width of 76.8 m, a height from keel to mast of 74.37 m, a beam of 40.84 m, a draught of 11.3 m and a displacement in maximum load of 95,000 tons, attaining speeds of more than 30 knots. 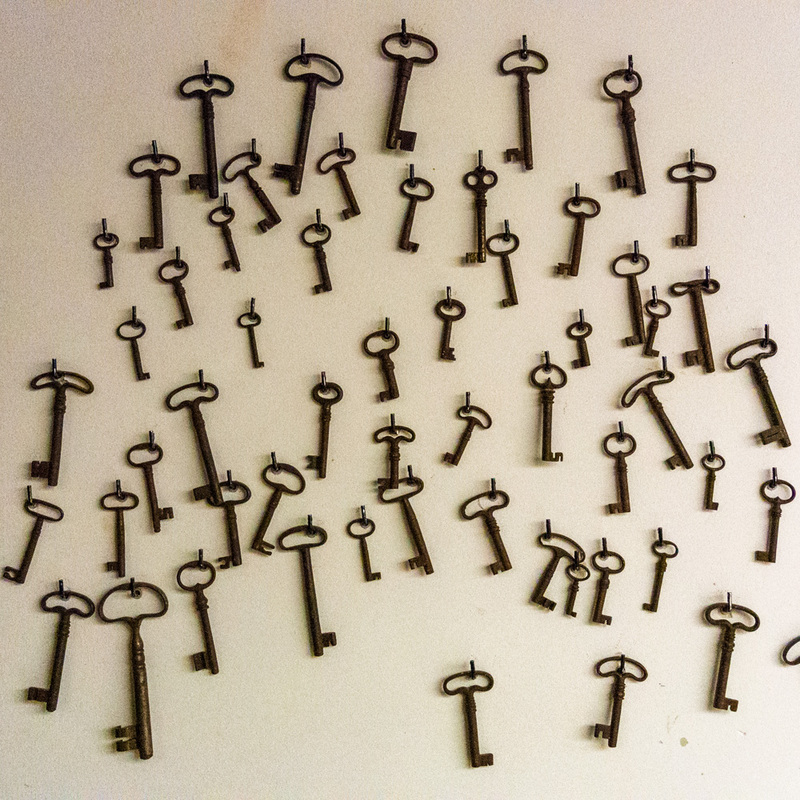 It is all quite impressive, isn’t it? She has a two nuclear reactors propulsion system. The Ike will be sailing away sometime today. 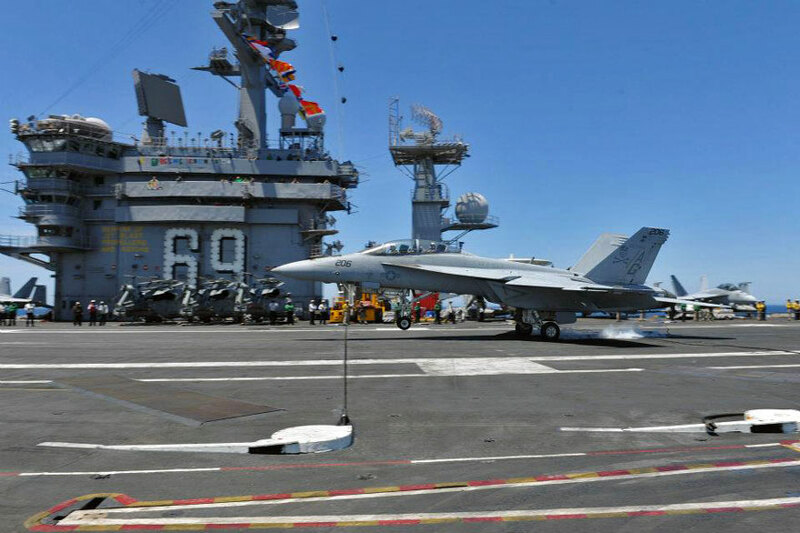 She is scheduled for an 8 to 10 months underway period to the 5th and 6th Fleet. The USS Dwight D. Eisenhower is usually carrying 90 aircraft between fixed wing and helicopters. The photo (top) was taken in Palma, Mallorca, Baleares, Spain. The date: July 5th, 2012. The time was 20:26:14. The remaining photos were borrowed from the Internet, courtesy of (from top to bottom) diariodemallorca.es and the photographer, Manu Mielniezuk, ferrymania.blogspot.com.es, flickr and militaryphotostore, and facebook.com/cvn69. We were on holiday in Majorca and met Charles Philip Ford (Charlie) and Chris Mckensie. What nice people, a credit to the US Navy, real gentlemen and good company. I love being able to see where our sailors go this is my Sailors last deployment as far as Mom & Dad knows it is exciting to be able to see this deployment and every one he has been on this is his 3rd one. Where else can u get paid and see the world? The wonderful USA NAVY. I had a great time there and home to return soon. Mallorca was beautiful.